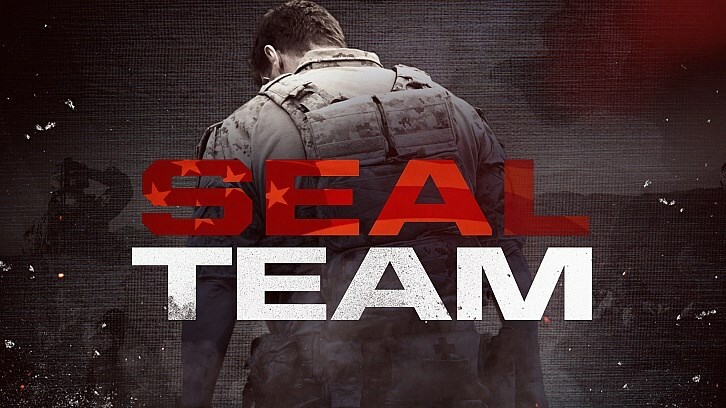 SEAL Team - Dirt, Dirt Gucci - Review: "A Bottle Opener On A Flip-Flop?" Davis got an official going away party. It felt like a treat for me as a viewer and like the perfect way a good group of peers send a friend off to new challenges. I loved Lisa’s speech about what she’s learned from the people she works with. And I have to admit two things. (1) Now that Davis is in OCS, I feel I can relax and go with the Quinn/Davis romance story. (2) Smitten Sonny is freaking adorable. I felt kind of bad for Emma, just old enough that the guys forgot to marshal their tongues in front of her, but still too close to having lost her mother to laugh off the idea of her father being shot at. It appears as though Swanny isn’t losing time because he drinks. Looks like he’s suffering some physical trauma from his years in service. Hopefully he is aware, and his sister knows (hence the frequent phone calls?). I’m theorizing his illness will come into play with Clay’s lessons about making the Team the only thing in his life. Jason’s concerns about Emma getting an art degree are a normal parental reaction to their child going into such a difficult profession. His desire for her to leave school without decades of debt is to be admired. Jason’s thinking about selling the house to pay for Emma’s school...what’s his plan for Mikey? I am beginning to wonder if Jason and Emma will ever move beyond the Jason says the wrong thing, Emma gets hurt or angry, and Jason apologizes cycle. Poor man. He just lives with his foot (feet?) in his mouth. Note to Jason…when phone service is iffy…start with the apology. The other details can wait. Of course, as Jason becomes more stressed about paying for Emma’s school, he runs into a friend working for a security company. I predict a job offer before the end of the deployment episodes. The job will pay more than enough to cover college tuition for both of Jason’s kids. It makes sense. Jason is either in, or heading for, his 40s. If he stays in the Navy, does he end up training new SEALs? A high paying gig, keeping his foot in, makes a lot of sense. Ray is still in his downward spiral. Naima is seeing the man “she found”, not the man she married. I felt so bad that Ray left for deployment without telling his wife he loves her. Her reaction to that implied that it was a ritual between them. Skipping those rituals are, I would assume, terrifying. I can’t help but feel that Swanny’s statement about fighting keeping the mind occupied is the root of why these guys are able to function in the field, but run into such problems when they’re off duty. I understood that, for many soldiers what they see on the job can have a detrimental effect on their personal lives. What I never considered before was that the focus required during a mission keep is why they can keep working successfully after the personal lives fall apart. This tech is being used in a cyber attack that’s taking over the navigation of American ships. When a plane carrying the tech crashes on an island near the Philippines, Bravo Team is tasked to retrieve it. They not only get the tech, but a Chinese prisoner as well. That left them needing to get out of the area before the Chinese can bomb the wreckage. 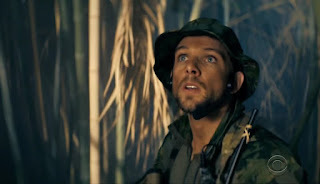 When Clay and Sonny realize that Chinese Special Forces have landed on the island, Clay decides to leave an encrypted radio behind to distract the Chinese long enough for them to make their exfil point. Sonny tries to talk him out of going off on his own, but Sonny’s hands are full with the prisoner. It’s an example of how green Clay actually is. He’s not considering the possible consequences of his actions; consequences that can come down on Jason’s shoulders. Duh! I can’t believe I never considered that we’d get to see Davis’ experience in OCS. It completely fits with the paradigm of season 1 when we watched Clay go through BUD/S. I should have realized that option was available to the writers. It made Sonny’s gift of An Officer and A Gentlemen feel kind of prophetic. I loved how the scenes of Davis being lectured about the responsibilities and decisions of an officer dovetailed with Blackburn telling Jason that Clay’s actions (leaving behind secure hardware) combined with that final mission in Mexico have Command characterizing Jason’s leadership as showing a “pattern of risky behavior”. Another great episode for me, the personal situations for Bravo Team are tightening. I am so pleased that we’re getting to watch Davis’ fight to get through OCS. Why is there a bottle opener on the bottom of Sonny’s flip-flops?